Please submit preferred theme to wcceurope@dccoi.ie by 28 March. For those who are planning travel for the GA we suggest arrival on the afternoon of Tuesday June 5. That evening there will be a reception hosted by Craft Scotland and the Lord Provost of Edinburgh at the City Chambers. If you would like to attend the GA and/or Conference please email Kerstie@craftscotland.org for further information. WCCE members are invited to attend the two day Craft Scotland Conference which takes place on June 7 and 8 at the National Museum of Scotland. Details of the Conference programme and speakers can be found HERE. Craft Scotland can offer one free Conference place to each member organisation. 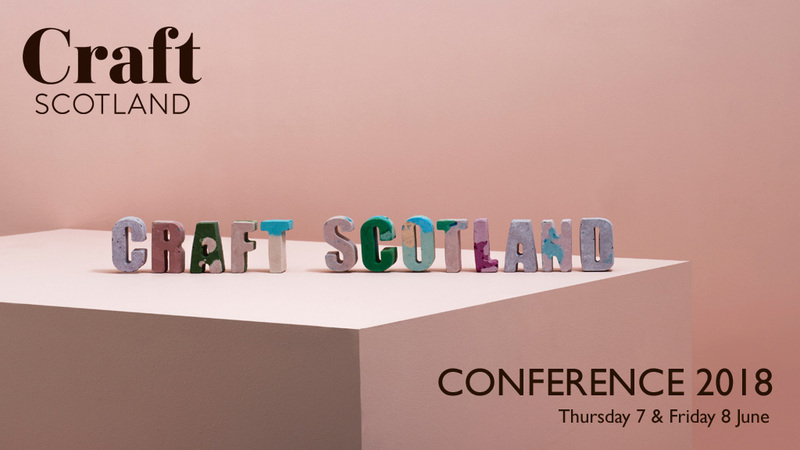 Please contact Kerstie@craftscotland.org and we will register your free attendee directly. Please let us know by Friday 20 April. Additional guests can also buy tickets at the concession rate of £70. Please book directly through the Craft Scotland website HERE.